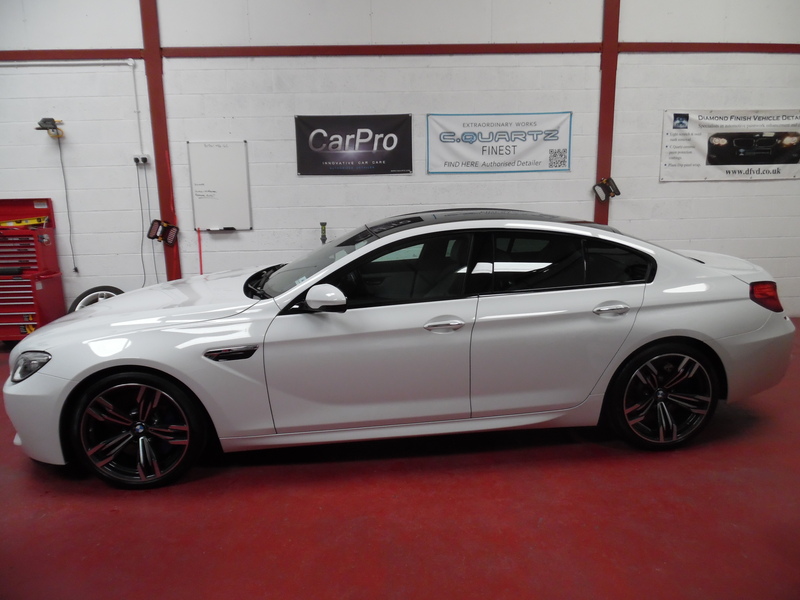 DFVD are an approved detailer in Newport, South Wales to apply CarPro C.Quartz Finest Reserve and 22Ple Mistico Forte ceramic coatings. CQuartz Finest Reserve for 3 years plus protection or 5 years plus for our premium coating 22Ple Mistico Forte. Visit our recently refurbished studio in Newport for a quote. Every day your car is constantly being subjected to environmental pollution, break dust, road salt, UV rays, bird bombs, tar and everything else our weather chucks at it, and this will over time affect the condition and look of your cars paintwork. 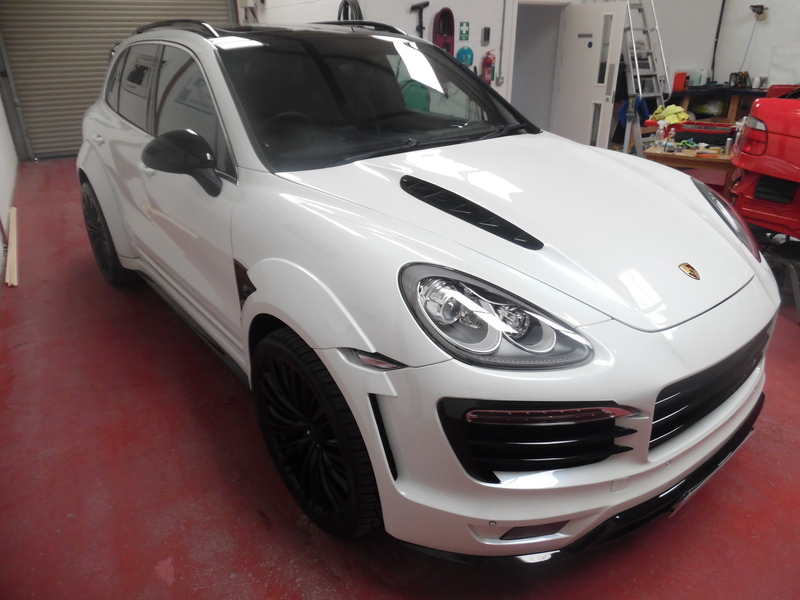 Detailing is the restoring or exceeding the original condition of the cars surface finish from top to bottom, inside and out the car goes far beyond the quick vacuum and wash that general car washes offer. 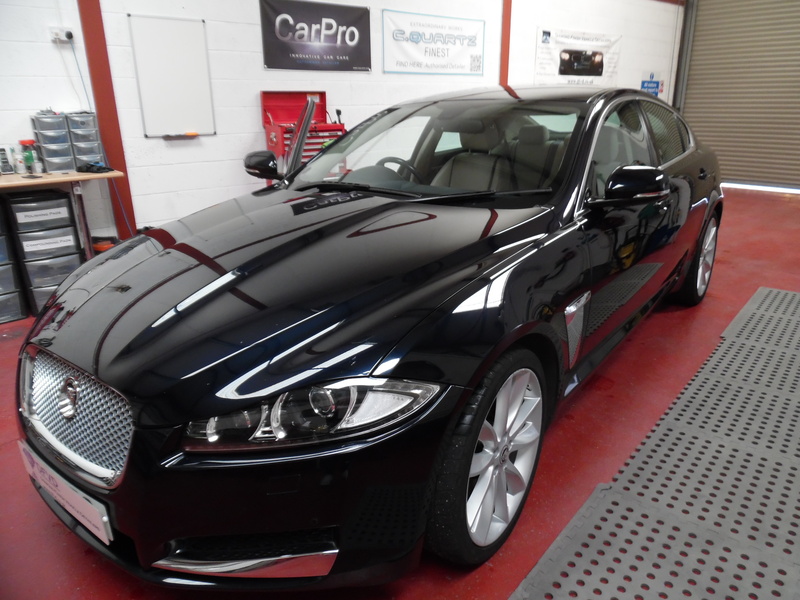 Our detail process not only improves your cars appearance but could help to preserve / increase the resale value. 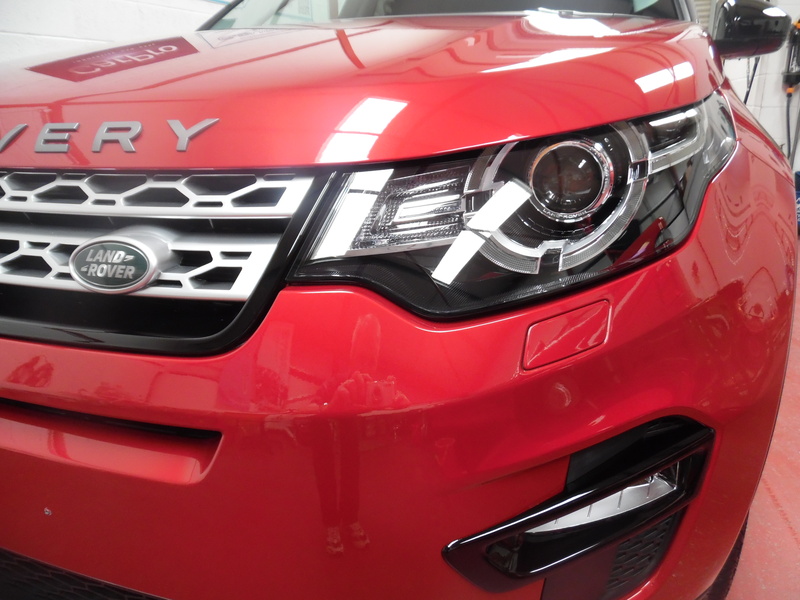 and you will be amazed by the quality of our finish leaving the car fit for display in any showroom. 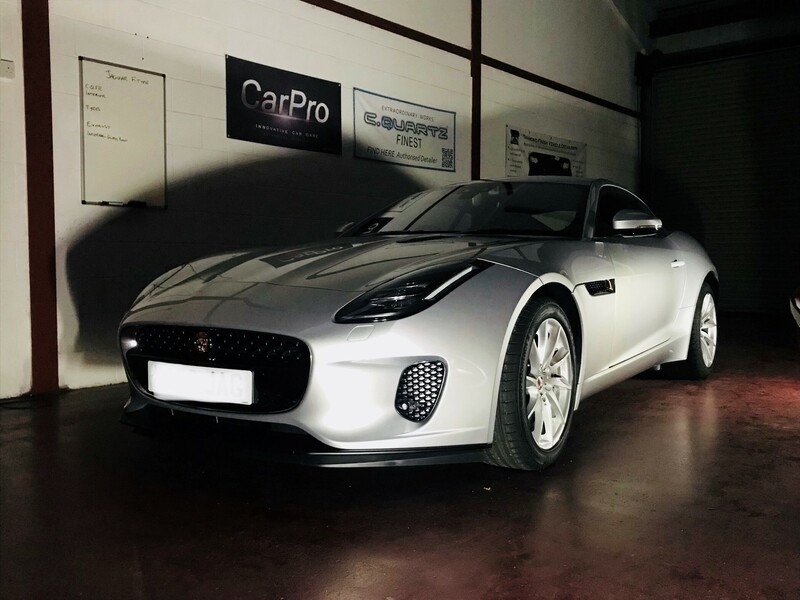 CarPro C Quartz finest Reserve is a tough, resilient coating that will protect vehicle paintwork from accidental scratches, environment contaminants and give excellent hydrophobic (run off) properties. 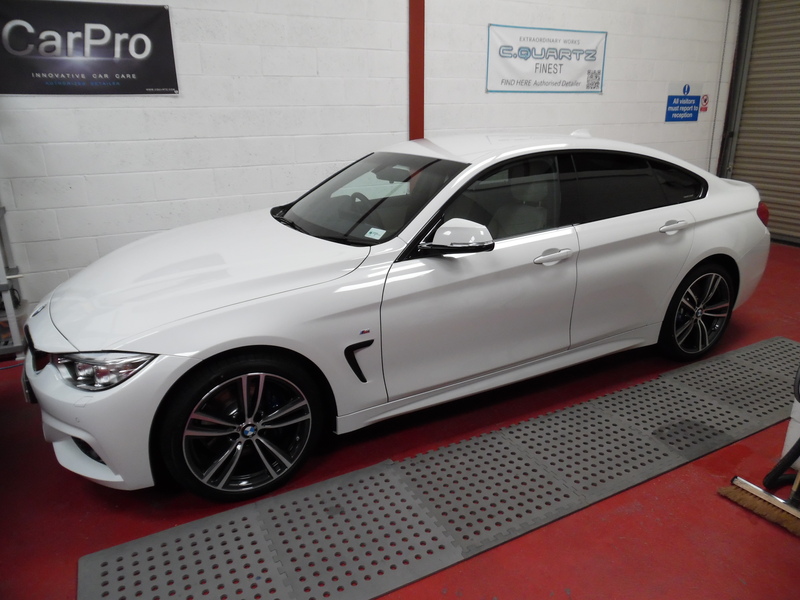 A truly excellent product incorporating the latest Hybrid Nano (quartz) technologies for vehicle protection. The most common and unsightly damage to vehicle paintwork is seen as a spider web effect or as swirl marks commonly caused by the use of dirt contaminated sponges, brushes and cloths. 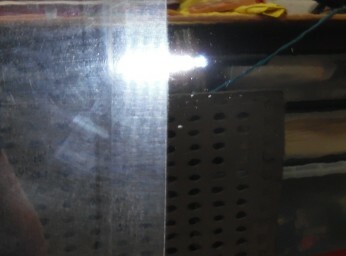 We can enhance (removal of swirl marks) or correct (removal of swirl marks and most light scratches) through our machining process to improve clarity and gloss. 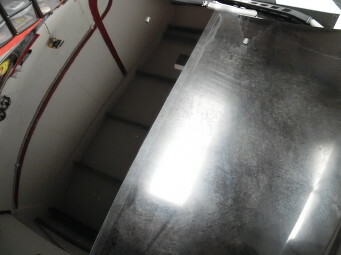 This BMW 520d had severe paint contamination to the bonnet – on the right. 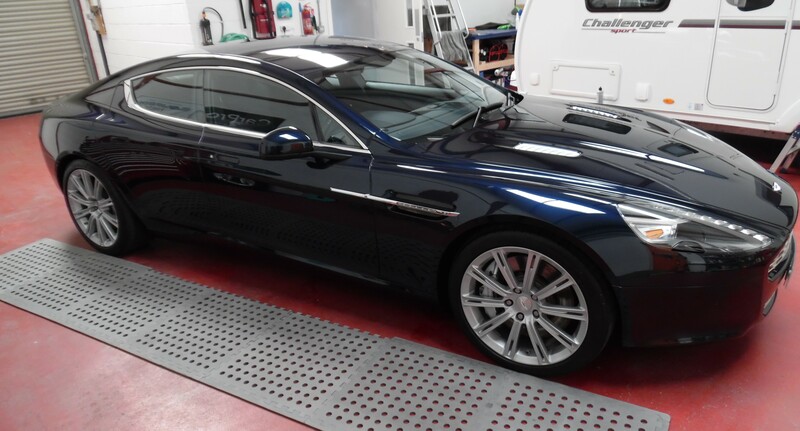 Our expertise and product knowledge brought back the paintwork – on the left – to a glossy shine again and the owner avoided a costly respray. 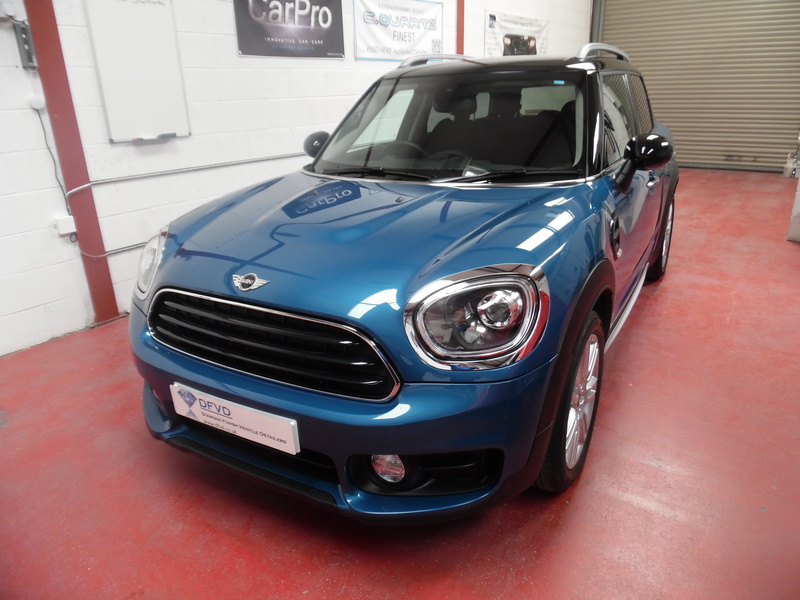 Detailing can re-establish or better the showroom finish to your car and whilst every care is taken by us it can uncover defects such as unprofessional paint repairs and lacquer applications. 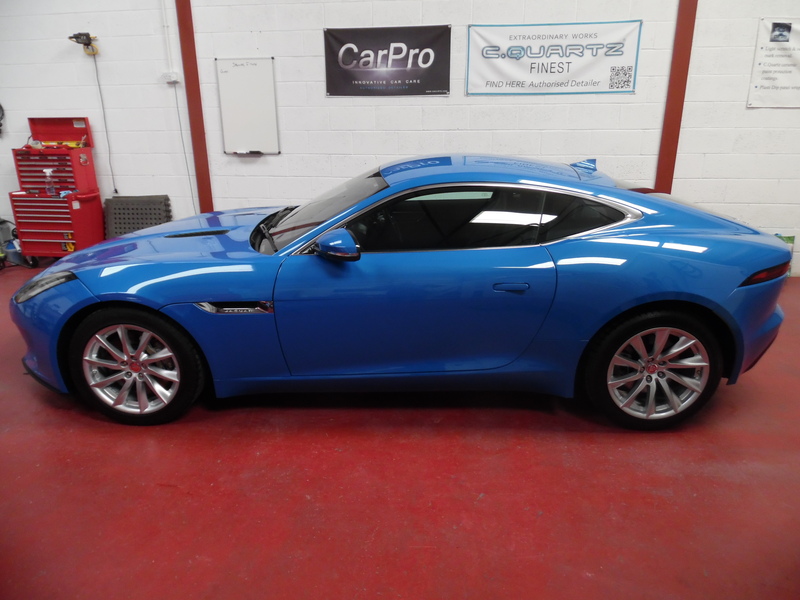 We would ask customers to inform us of any previous paintwork repairs as we cannot be held responsible for defects uncovered during our detailing process. Most cars come to us in the dirty state. 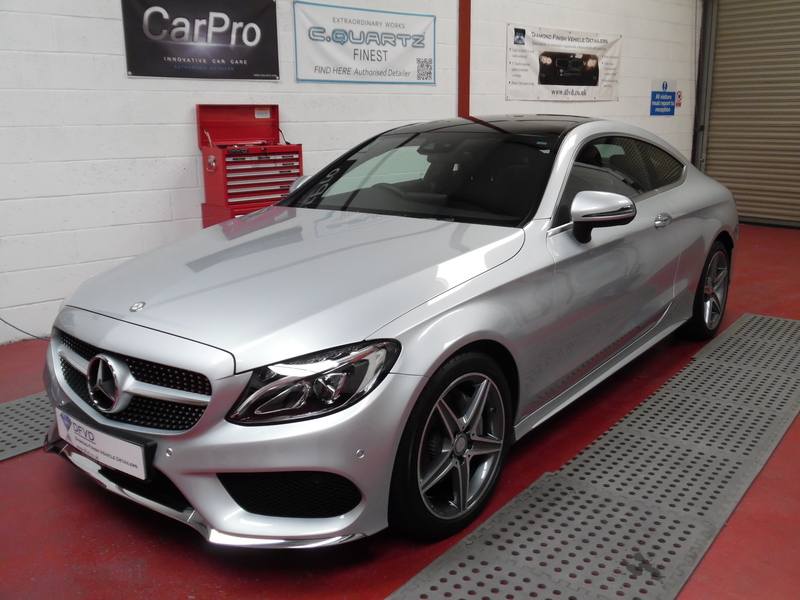 We note any visible damage during our walk round with the customer, therefore any damage found after the car has been cleaned will be noted and the customer informed.